Janis Palma has been a federally-certified judiciary interpreter since 1981. She is also certified by NAJIT as an English-Spanish interpreter and translator, and by the State of Texas as a Master Licensed Court Interpreter. 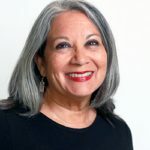 She holds a Master’s Degree in Puerto Rican and Caribbean History & Literature from the Centro de Estudios Avanzados de Puerto Rico y el Caribe (San Juan, PR), and has been teaching judiciary interpreting through professional associations, private organizations, higher education institutions, and government agencies since 1986. She is also a former NAJIT President, and has been an active volunteer with NAJIT and SSTI for over 30 years. Her work trajectory includes freelance and full-time staff work as an interpreter in federal and state courts, including Texas, New York, Washington, DC, and Puerto Rico; as a translator, she was commissioned by then-Chief Judge of the U.S. District Court in Puerto Rico, the Hon. Héctor Laffitte, to translate Guillermo Baralt’s History of the Federal Court in Puerto Rico. 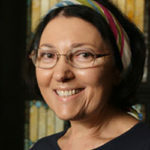 Her published work in edited volumes and journals on translation and interpreting has covered the nature of legal language as it applies to judiciary interpreters, consecutive interpreting and retention enhancement techniques, as well as professional ethics, to name just a few. 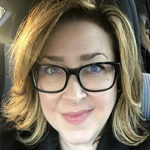 She is also a regular contributor to the NAJIT blog, where she writes about the every-day life of a judiciary interpreter. 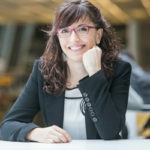 Aída Martínez-Gómez, Assistant Professor of Legal Translation and Interpreting, holds a PhD in Translation and Interpreting Studies from the University of Alicante (Spain). Her main research interests focus on interpreting in prison settings, including both access to justice and treatment for foreign incarcerated offenders, and the particularities of bilingual prisoners acting as interpreters. In a similar light, she has also explored broader issues pertaining to non-professional interpreting and interpreting quality assessment. Her works have been published in international journals such as Interpreting and JosTrans, and in volumes edited by renowned scholars in the field. Prof. Martínez-Gómez’s areas of teaching expertise are legal translation and court interpretation. She has taught at the University of Alicante and the Monterey Institute of International Studies. She is the Coordinator for the Certificate Programs in Legal Translation and Interpretation at John Jay College, and teaches introductory to advanced courses within these programs. She is also a court-certified translator and interpreter accredited by the Spanish Ministry of Foreign Affairs and has worked in this capacity for the Spanish Secretary General for Correctional Institutions, the British Ministry of Justice and several international law firms such as Ollé & Sesé (Madrid), Loeb & Loeb (Chicago), and Peters & Peters (London), among others. A Professor of Spanish Linguistics at Vanderbilt University, Susan Berk-Seligson describes herself as “a linguist, with research and teaching areas of specializations in (1) sociolinguistics, (2) forensic linguistics (3) pragmatics and discourse analysis, and (4) language and gender.” She is the author of The Bilingual Courtroom: Court Interpreters in the Judicial Process (The University of Chicago Press, 1990, 2002 and 2017), and Coerced Confessions: The Discourse of Bilingual Police Interrogations (Mouton de Gruyter, 2009). The Bilingual Courtroom was awarded the prize for “Outstanding Book in the Field of Applied Linguistics” by the British Association of Applied Linguistics and was nominated for the Scribes Book Award by the American Bar Association. She is also Affiliate Faculty with the Center for Latin American Studies, and Research Associate with the Latin American Public Opinion Project. Her articles on pragmatic aspects of legal language have appeared in such journals as Language in Society, Forensic Linguistics: The International Journal of Speech, Language and the Law (more recently renamed, The International Journal of Speech, Language and the Law), Interpreting: International Journal of Research and Practice in Interpreting, and Revista Iberoamericana de Discurso y Sociedad, among many others. She holds a Ph.D. in Linguistics from the University of Arizona, and has taught in the Modern Languages Department of Purdue University (1983-85) and in the Hispanic Languages and Literatures Department of the University of Pittsburgh (1985 to 2004). At Vanderbilt University she has served as Associate Director of the Center for Latin American Studies and Director of Graduate Studies of that Center. Her research interests both in language and the law as well as in Spanish in the U.S.A. have led her to apply her knowledge as a linguistic expert witness in cases involving capital punishment and the rights of linguistic minorities to speak a language other than English, particularly in the workplace. She has also served as an expert in cases involving the right to quality interpreting services in U.S. Immigration and Naturalization hearings. Professor Berk-Seligson also served as Research Affiliate of the National Center for State Courts and Advisory Committee member overseeing the Federal Court Interpreter’s Certification Exam. Melissa Wallace received her Ph.D. in translation and interpreting studies from the Universidad de Alicante, Spain. A certified court interpreter and certified healthcare interpreter, Wallace served two terms as an appointed member of the state Supreme Court Committee to Improve Translation and Interpreting in Wisconsin Courts and has just begun a 5-year term on the Licensed Court Interpreter Advisory Board of the Judicial Branch Certification Commission for the Supreme Court of Texas. She is an active appointed member of the Standards and Training Committee of the National Council on Interpreting in Health Care (NCIHC), and is co-lead on the Webinars Work Group of the NCIHC’s Home for Trainers initiative. She is a former member of the Executive Board of the American Translation and Interpreting Studies Association and chair of the Advisory Council of Voice of Love, a U.S.-based nonprofit that develops training and resources to support interpreting for survivors of torture, war trauma and sexual violence. Her research focuses on indicators of aptitude on court interpreter certification exams, interpreter and translator training, and policy innovations as language access activism. She has presented her research in the United States and abroad, including to the Qualitas research group, a project funded by the Department of Justice of the European Commission which aims at providing a roadmap for the development of valid and reliable certification procedures for judicial and police interpreters for all EU member states. 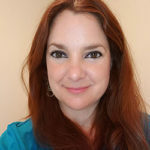 Currently she is an Assistant Professor of Translation and Interpreting Studies at the University of Texas at San Antonio where she directs the graduate certificate program in translation studies. Wallace has been granted a Fulbright to teach and conduct research in court interpreting at the University of Tampere, Finland, beginning in January 2016. Marianne Mason holds a PhD in linguistics from the University of Georgia. She is currently an Assistant Professor of Translation and Interpreting Studies and Linguistics in the Foreign Languages, Literatures, and Cultures Department at James Madison University. She is also the coordinator of the Translation and Interpretation Minor at JMU and teaches core translation and interpreting courses in the minor. Prior to joining JMU, Mason taught linguistics, translation, and languages at Georgia State University and Georgia Institute of Technology. Her main areas of research include language and the law/forensic linguistics, discourse analysis/pragmatics, and translation/interpreting studies. In these areas, Mason has published a book, Courtroom Interpreting (2008), and has a forthcoming (2019) co-edited volume, The Discourse of Police Interviews, with the University of Chicago Press. She has also published on police-lay person exchanges, covertly-taped conversations/the discourse of wiretaps, and bilingual courtroom proceedings in journals such as the International Journal of Speech, Language, and the Law, Translation and Interpreting Studies, Police Quarterly, Language and Communication, Journal of Pragmatics, Pragmatics, among others. In the spring of 2018, she was awarded a fellowship from the American Council of Learned Societies/ACLS to complete her research titled: Language at the Center of the American Justice System. The project examines legal institutions’ historical interpretation and enforcement of linguistic actions invoking constitutional rights; lay persons’ knowledge of how discourse is used to achieve linguistic goals in custodial settings; and the effect of law enforcement’s treatment of invocations for counsel on police interviews. 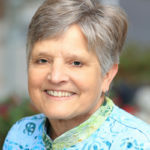 In addition to her teaching and research, Mason has provided expert witness testimony and reports in criminal cases in the state of Georgia that involve interpreter-induced errors and police-lay person exchanges, such as the invocation of Miranda warnings and police interviews/confessions.